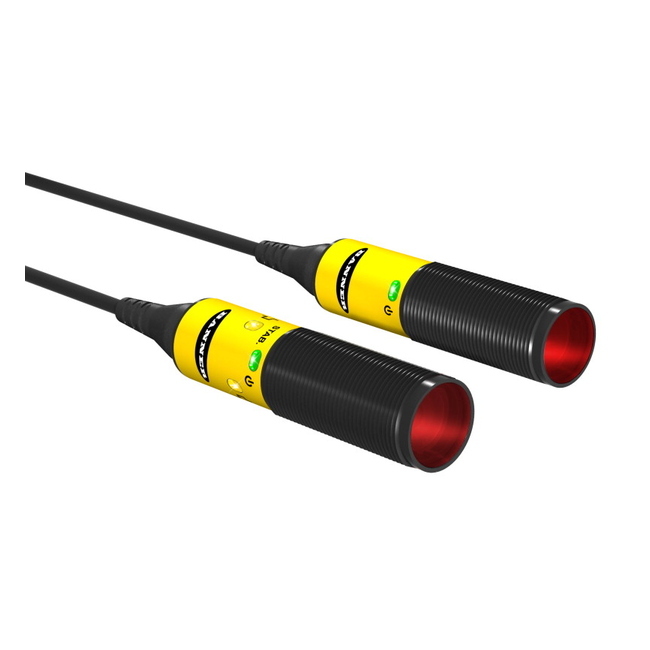 S18-2 Series: Emitter with Beam Inhibit Input. Range: 25 m; Input: 10-30 V dc. Outputs: none; Input: Beam Inhibit. Connection: 3-conductor 2 m PVC cable. S18-2 Series: Emitter with Beam Inhibit Input. Range: 25 m; Input: 10-30 V dc. Outputs: none; Input: Beam Inhibit. Connection: 3-conductor 9 m PVC cable. S18-2 Series: Emitter with Beam Inhibit Input. Range: 25 m; Input: 10-30 V dc. Outputs: none; Input: Beam Inhibit. Connection: Euro M12 4-pin Integral Connector. S18-2 Series: Emitter; Long Range. Range: 25 m; Input: 10-30 V dc. Outputs: none. Connection: 4-conductor 2 m PVC cable. S18-2 Series: Emitter; Long Range. Range: 25 m; Input: 10-30 V dc. Outputs: none. Connection: 4-conductor 9 m PVC cable. 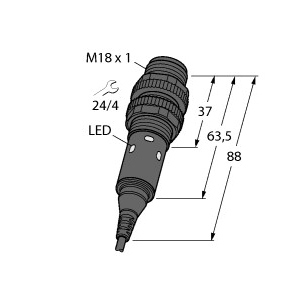 S18-2 Series: Emitter; Long Range. Range: 25 m; Input: 10-30 V dc. Outputs: none. Connection: Pico M8 4-pin 150 mm PVC Pigtail. S18-2 Series: Emitter; Long Range. Range: 25 m; Input: 10-30 V dc. Outputs: none. 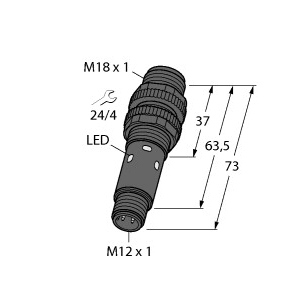 Connection: Euro M12 4-pin 150 mm PVC Pigtail. S18-2 Series: Emitter; Long Range. Range: 25 m; Input: 10-30 V dc. Outputs: none. Connection: Euro M12 4-pin Integral Connector.